The strawberry season is here! Here is a recipe that is different from the usual strawberry recipes. • Preheat the oven to 190oC. • In a small bowl, mix oil, milk and egg. Beat lightly. • In a large bowl, mix all the dry ingredients. Toss in the strawberries and stir to coat it with flour. Pour in the milk mixture and mix well. 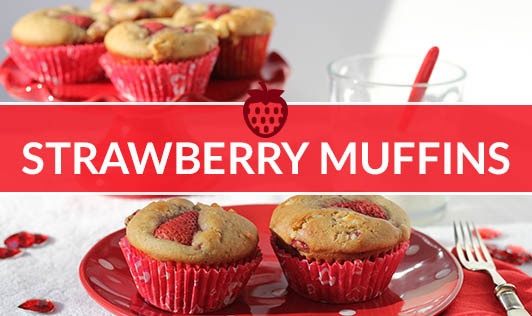 • Pour the batter to a greased muffin tray or paper cups (muffin cups). • Bake at 190oC for 25-30 minutes. Cool for 10 minutes and remove from pan.